Hello February and hello Valentine’s Day season! I used to get glam for Valentine's Day (as can be seen here), but now I would rather chill with my boys at home and not have to fight the crowds at restaurants. My low maintenance celebrating, however doesn't mean that I don't love V-day. Valentine's Day is actually one of my fave Holidays because it's another excuse to dress girly- queue the hearts, the pinks and the reds! 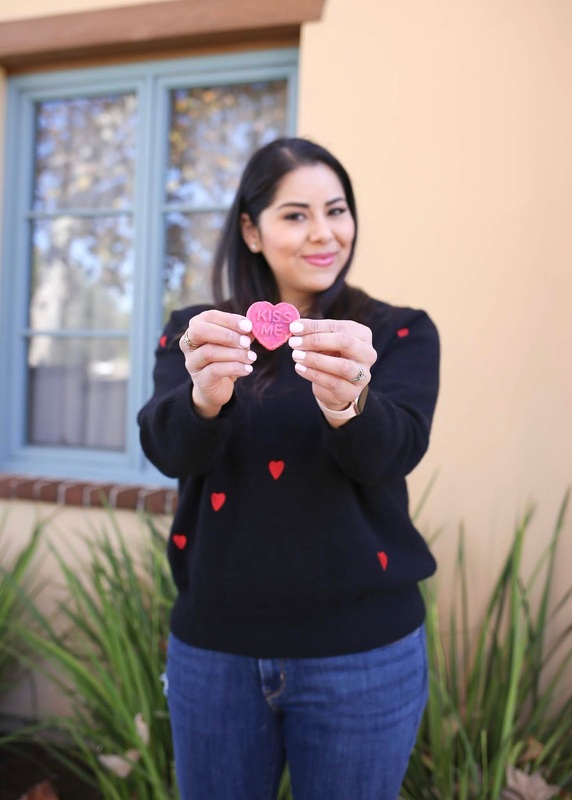 This year, I'm opting for a cute heart sweater because I can still be festive & comfy at the same time! This one from Chicwish comes in this black/red combo and also there is a white/pink combo. I paired it with jeans and these red pointed booties that I bought for last season of NYFW (however I didn't wear). 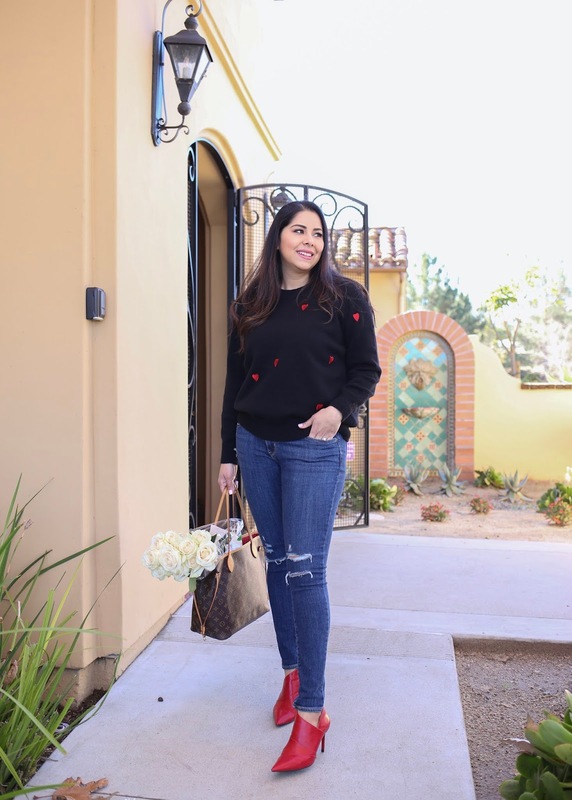 Another option for this sweater/jean ensemble is to pair it with sneakers, which comes in handy for a toddler-chasing mommy like me! And we can't forget the roses in the bag (a blogger's best friend!) Let's remember that Valentine's Day is a Holiday of love and friendship - whether you're single or taken, it's a great Holiday to show those around you some love! 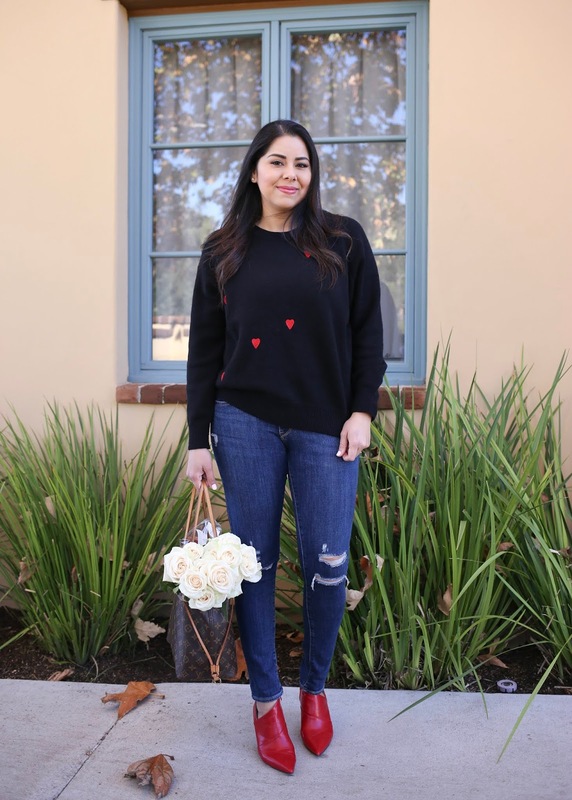 Wanna snag yourself a sweater for V-day (or any day you just want to wear your heart on your sleeve, literally)? Here are some more hear sweater ideas! Oh my gosh, I adore that sweater! It is beautiful. 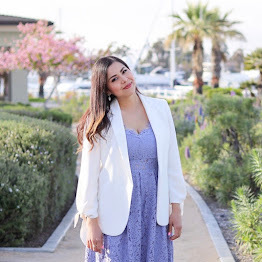 Cabi Spring 2019 Outfit from Work to Play!